Well guys n gals, had a huge late night last night… or should I say this morning 3am to bed OMG my eyes are feeling like someone just rubbed a handful of sand into them I can tell you, so no great huge creation today either lol. But I thought I’d share these cute little OWLs with you. 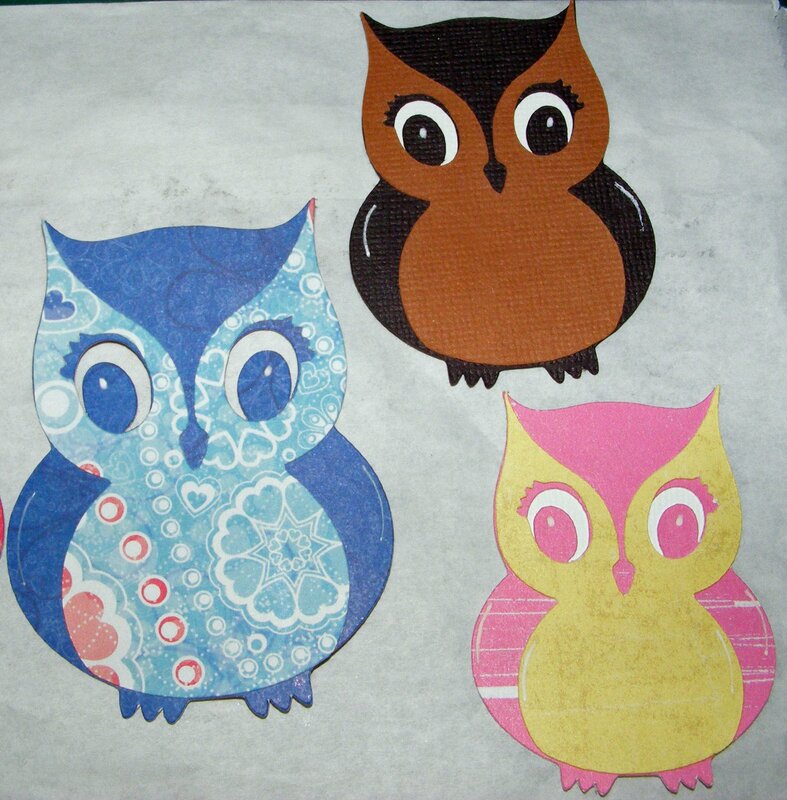 I love owls and these guys are definately very cute, they were such a simple pattern to create, just pop a bit of white cardstock/paper behind their eyes to complete them. This entry was posted on February 14, 2009 at 6:21 am and is filed under Cute Owl SVG. You can follow any responses to this entry through the RSS 2.0 feed. You can leave a response, or trackback from your own site.